While the Soft Edge Advocacy tool has a built in sign up form, we reccomend that you use the forms from your Form Builder to ensure that all information collected is properly mapped into your databank. If you want to use Sign Up Forms on your CongressWeb site, click YES. If you don't have a template, click to make one. Drag and position boxes on your form. Choose corresponding fields to map your data. 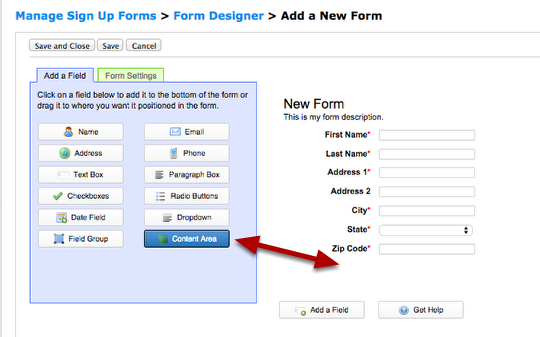 Note: Custom fields cannot be mapped from the Soft Edge sign up form into your databank.